Hard part is making the glass divider. I made a Agar Salt gel and cast it in the glass. Cut it in half and used that as a template for cutting some plastic. 2009 James Beard Award Winner! Back by popular demand, a lower-priced version of the must-have book from the genius behind the Fat Duck, the restaurant named best in the world by Restaurant magazine. The cookbook hailed by the Los Angeles Times as a "showstopper" and by Jeffrey Steingarten of Vogue as "the most glorious spectacle of the season...like no other book I have seen in the past twenty years" is now available in a reduced-price edition. With a reduced trim size but an identical interior, this lavishly illustrated, stunningly designed, and gorgeously photographed masterpiece takes you inside the head of maverick restaurateur Heston Blumenthal. 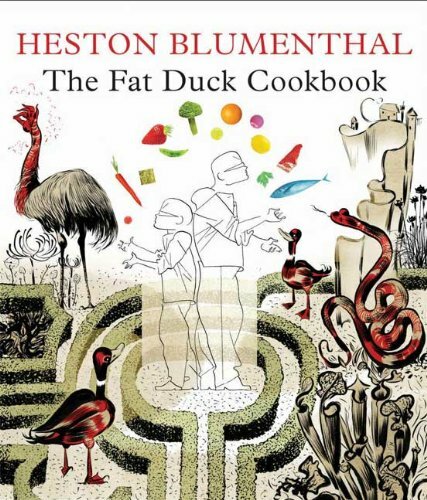 Separated into three sections (History; Recipes; Science), the book chronicles Blumenthal's improbable rise to fame and, for the first time, offers a mouth-watering and eye-popping selection of recipes from his award-winning restaurant. He also explains the science behind his culinary masterpieces, the technology and implements that make his alchemical dishes come to life. Designed by acclaimed artist Dave McKean - and filled with photographs by Dominic Davies - this artfully rendered celebration of one of the world's most innovative and renowned chefs is a foodie's dream.